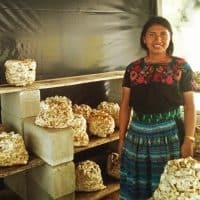 We would love to welcome you to stay as a guest here at The Fungi Academy where you can experience community living and mushroom cultivation in a breathtaking setting. Come and immerse yourself in community life. As a guest you are free to use the house and its grounds as your own. With no time commitment or work expectations, we offer you a peaceful environment, knowledge and amazing views. 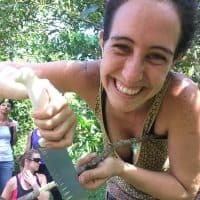 Learn how an intentional community made of international travelers and mycophiles operates and the ways we incorporate mushrooms into daily life. 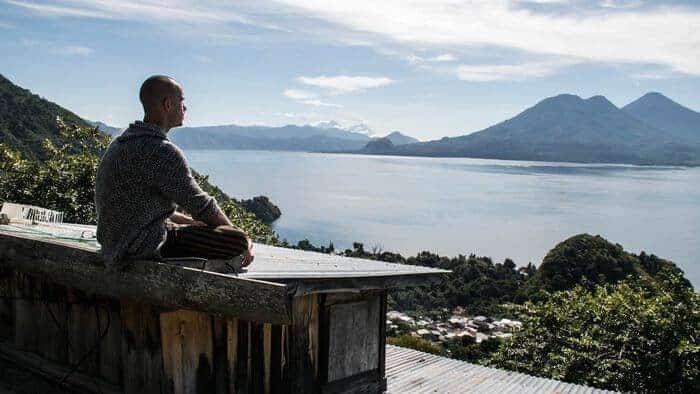 You can join in with our community activities, spend your days meditating, or sitting around and getting lost in a good book from our well-stocked library with books on fungi, mushroom cultivation and permaculture. It’s totally up to you. We also welcome guests to explore their curiosity and see our process for gourmet and medicinal mushroom production. It is a great opportunity for a unique experience and we always have an expert available to answer all your questions. During the week you will be served 1 delicious vegetarian meals per day. In addition you are free to use our communal kitchen and food to prepare other meals. At Fungi, you can choose to stay in a dormitory, camping area (with your own tent) or book a private room for 1 or 2 people. Availability of accommodation is on a first-come, first-serve basis. The prices listed above includes lunch (MON – FRI) and access to the kitchen and food resources to cook any additional meals and weekends, as desired. Check out our new FAQ page for some other answers you may be looking for. Don’t hesitate to contact us if you can’t find what you need! INTERESTED IN STAYING AS A GUEST AT THE FUNGI ACADEMY?